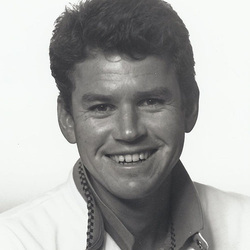 Ian Duvenhage led the University of Miami women's tennis program to seven consecutive NCAA appearances and a record of 131-44 from 1982 through 1988. The Hurricanes reached the NCAA finals in 1985 with a 29-6 dual match record, still the UM record for most wins in a season, as they finished second nationally, losing to the University of Southern California in the finals. In 1986, he coached Ronni Reis and Lise Gregory to Miami's first-ever NCAA doubles title, along with a third place finish in the NCAA's, earning Duvenhage the Wilson Intercollegiate Coach of the Year award. Miami would finish in the Top 5 in the nation in five of his seven years at the helm. Duvenhage coached 18 All-Americans, among them UM Sports Hall of Famers Ronni Reis-Bernstein, Ros Riach-Dalrymple and Lise Gregory. As a player, the South African native led the 1977 Miami team with a 21-2 record and in his UM career, his combined doubles and singles record of 105-37, places him in Miami's record books as a member of the 50-win club in both. As a professional, he won a 1983 USTA doubles title with partner Michael Robertson. In 1988, he began a 13 year coaching stint at Florida, coaching four NCAA champions and being named SEC Coach of the Year 3 times, along with Daily Tennis National Coach of the Year in 2000. He has a career record of 402-235, with one NCAA runner-up, 2 third place finishes, four Elite Eight and 15 Sweet Sixteen appearances. He also coached on the ATP tour from 2001-2005. Ian received his Bachelor of Business Administration (BBA) in 1980 and his MBA from the University of Miami in 1983. He and his wife, Susan, live in Nashville, where he currently serves as the men's tennis coach at Vanderbilt University.